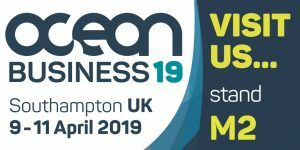 We are exhibiting at this years Ocean Business 2019, on stand M2. It takes place at the National Oceanography Centre in Southampton from 9-11 April 2019. Ocean Business is a global show with over 360 international exhibitors, offering the latest ocean technologies, back to back water-based demonstrations and training opportunities. This year the organisers have had to make an extra classroom and a new floating pontoon to meet the demand for the autonomous vehicles and vessel demonstrations at this years show. Visitors will enjoy free back-to-back training and demonstrations showcasing the latest products and technologies in their real environments. Swathe Services and its siter company Unmanned Survey Solutions will be exhibiting on stand M2 showcasing all the latest hydrographic survey technologies, USV’s and products. We look forward to meeting all our customers at the show.